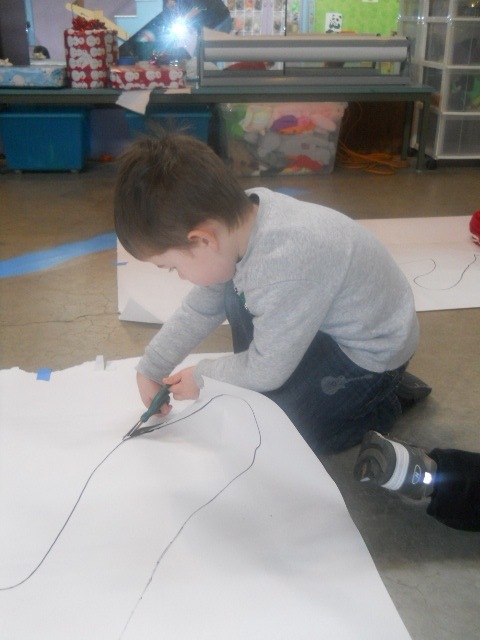 Our preschool class is moving on to a new science topic and will be learning all about the human body. 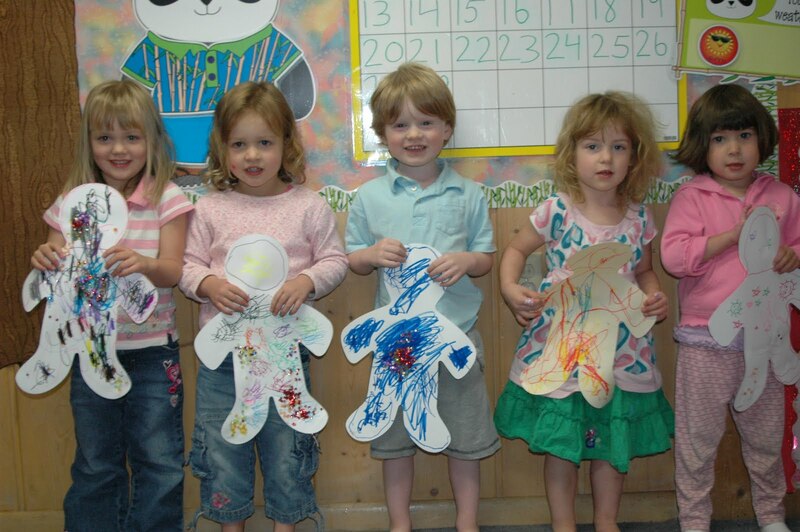 Teachers traced each child’s body. 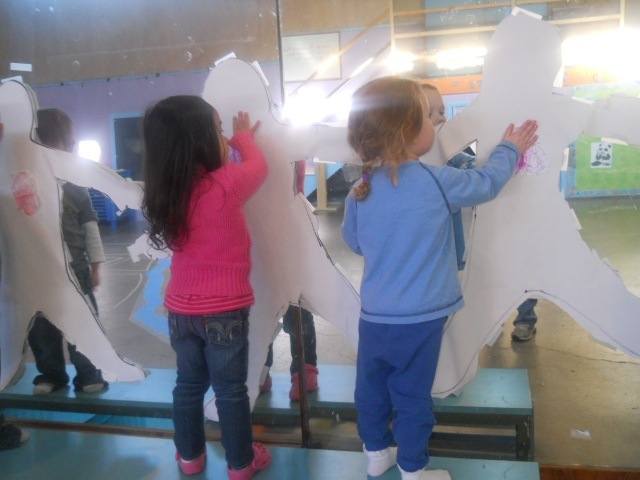 The children cut out their bodies and then attached them to the mirror in the gym. This week the children are learning about the circulatory system. After watching a video of a model heart pumping on the classroom’s ipad they they colored a heart diagram. The hearts were cut out and glued to the children’s paper bodies. More heart experiments are planned for this week. 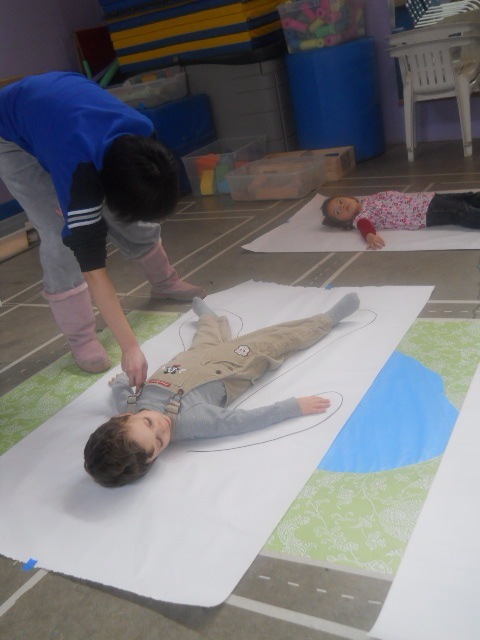 Over the next two to three months the children will have many opportunities to learn about individual organs as well as the skeletal, nervous, and muscular systems. 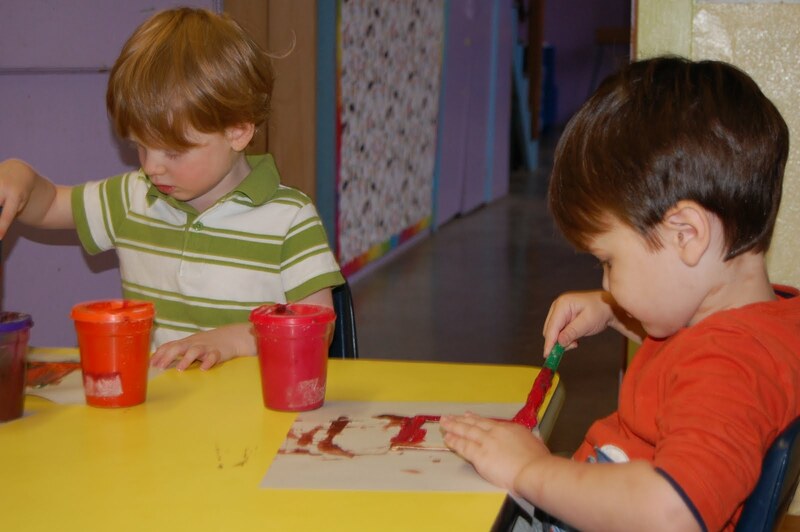 The preschoolers will explore the 5 senses, and then we’ll end the unit learning how to stay healthy. 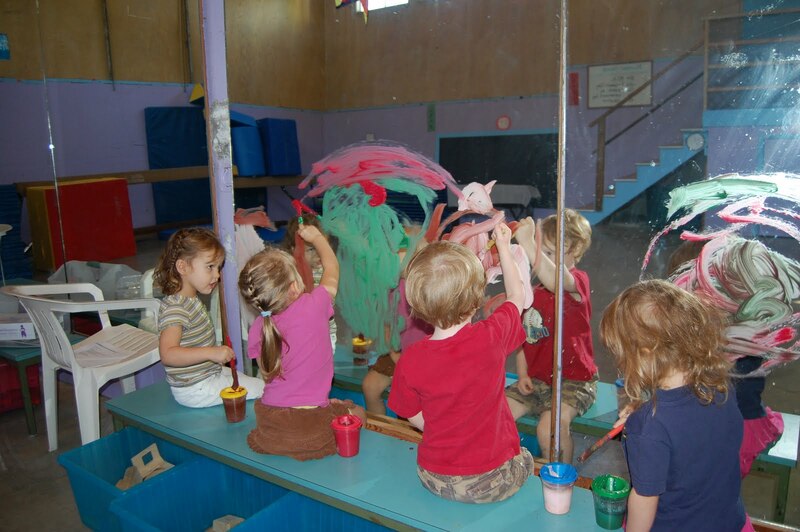 Some of the staying healthy topics include germs, nutrition, and exercise. 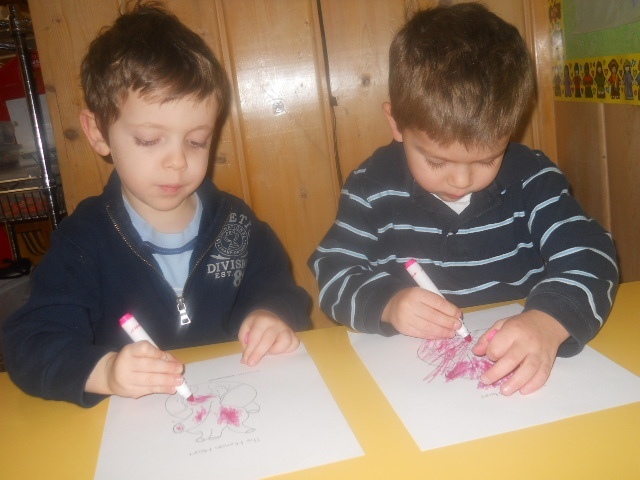 Today the preschool class listened to the story All I See is Part of Mewritten by Chara Curtis. As we read the book we took time to look at and talk about all the beautiful illustrations and learn some Chinese vocabulary. 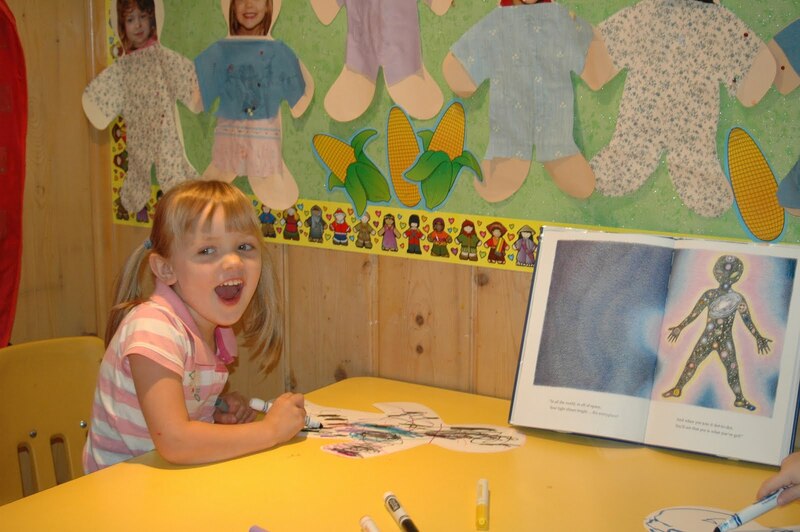 The book does a great job promoting children’s self esteem and building self confidence. 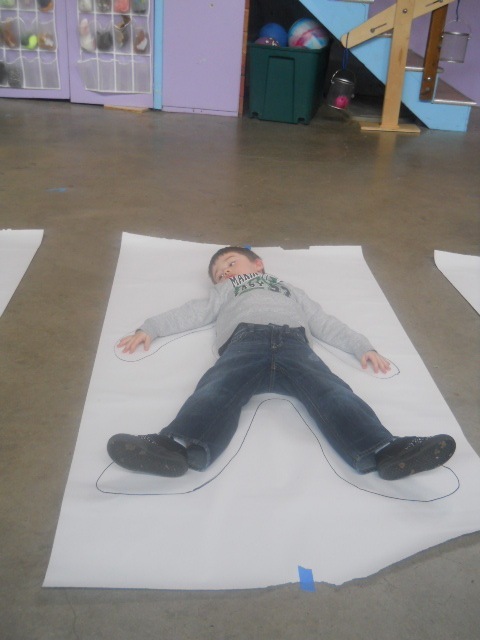 After we finished reading the children created their own body figures and drew stars, planets, moons, and suns on them. 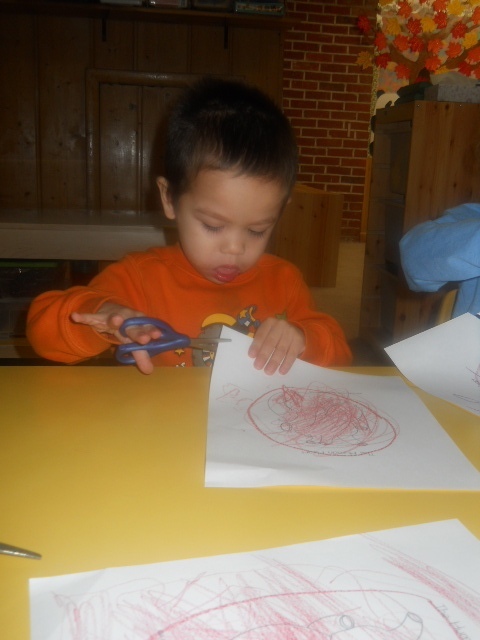 Last Friday the preschoolers made prints of their faces. 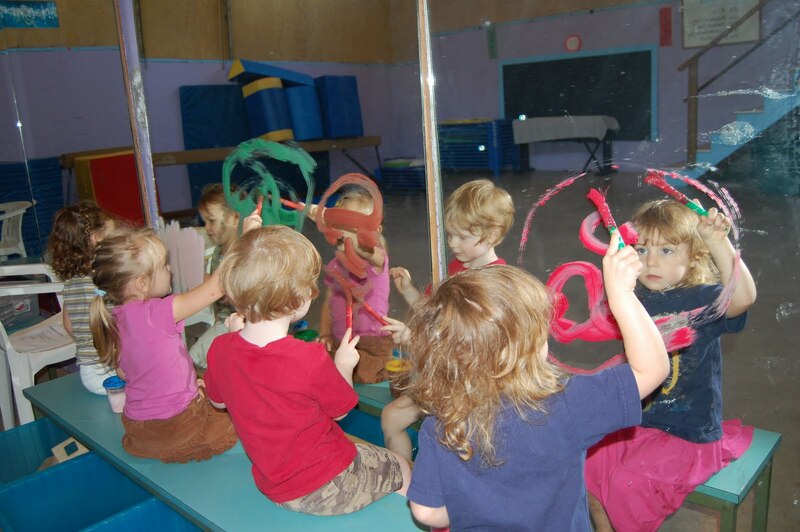 While sitting in front of the gym mirrors they attempted to paint the features of their faces. When their paintings were finished a print was made by placing a piece of white paper over their artwork. I’m going to save these pieces and then have the children do this project again late next spring. 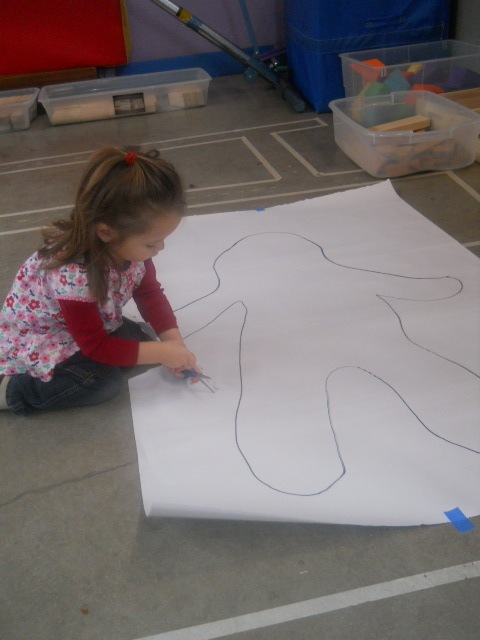 On Monday the preschoolers made self portraits with Helen to put on the bulletin board. Helen and Xiaoying are teaching the children Chinese while they’re engaged in projects that pertain to our current theme. 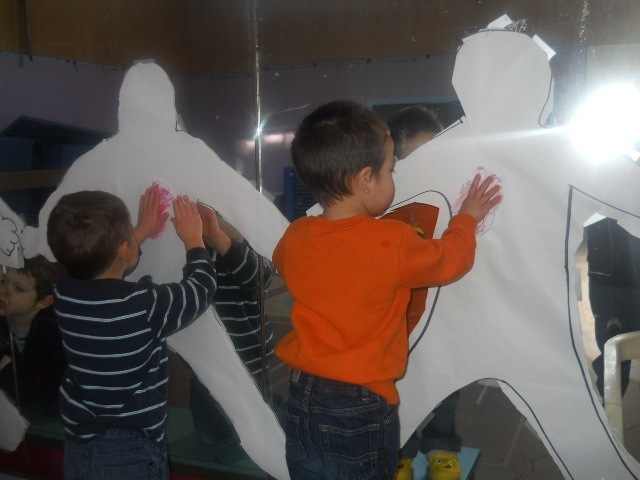 Each child was given a cutout with their picture glued to the body. 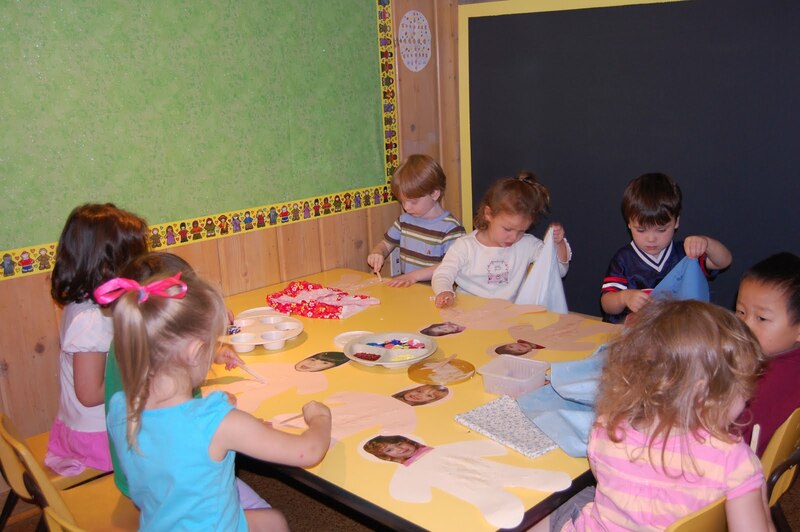 Children used fabric and other art materials to decorate their portraits. 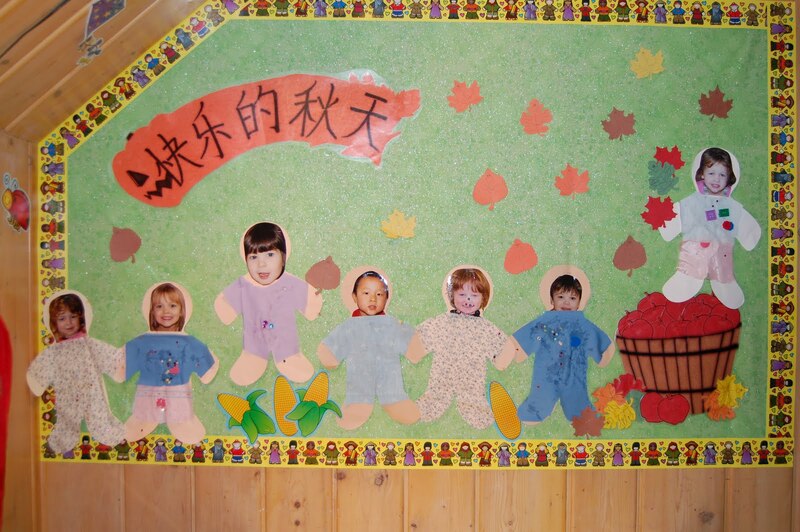 Helen designed the bulletin board which will be used to stimulate conversation about themselves and to learn more Chinese vocabulary. 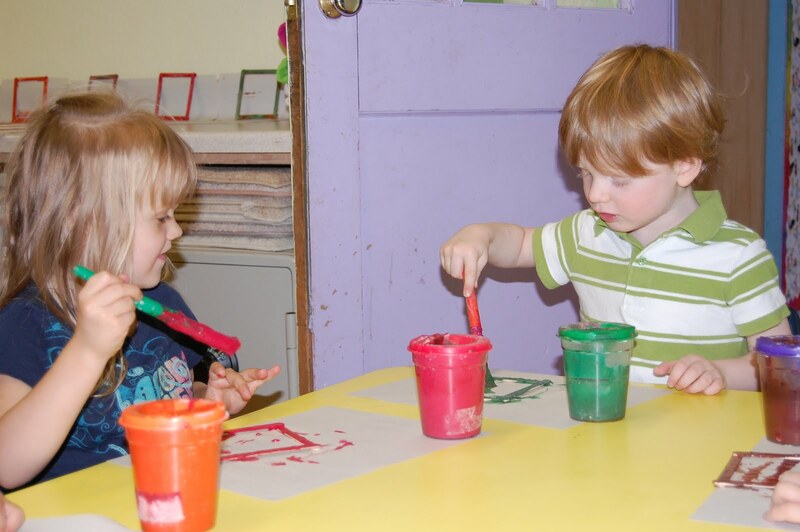 The children at the preschool home are beginning their school year learning about themselves. 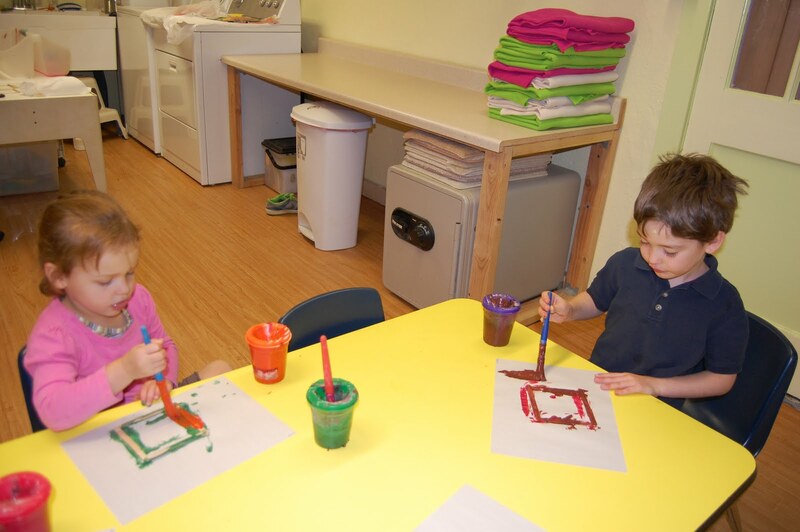 This week they made picture frames with Amber. 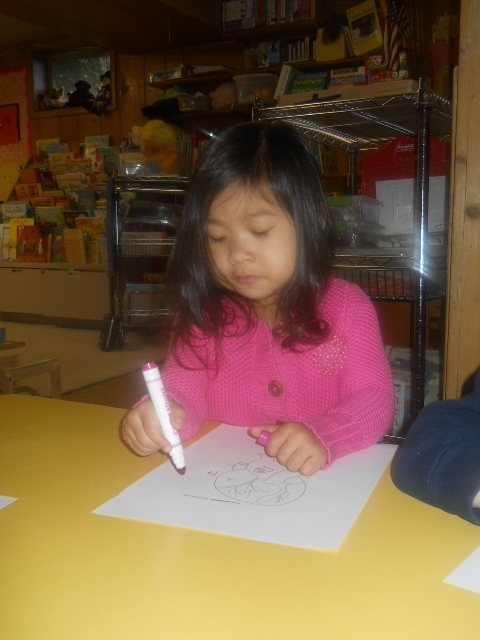 During Chinese the three year olds are learning to introduce themselves and their friends to others. Teacher Helen has brought in two new Chinese songs for the children to learn. One is about friends and the other is to bring children together for their morning circle time. It will replace our current circle time song. The first family assignment for the year was sent home this week. The children are creating a scrapbook for their classroom. 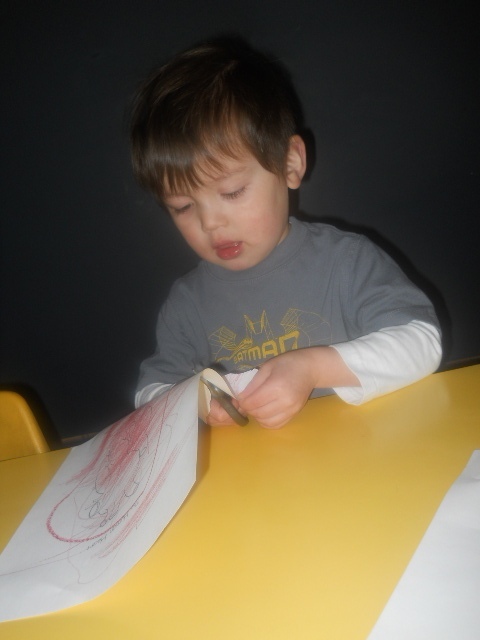 This week families are helping their children create a page about themselves. These pages will be put in a book that the children will be able to look at and share with their friends. It will also be used for Chinese instruction throughout the year. We will add pages about the children’s families, our school, and our community. Samples of the children’s work will also be included in the book.